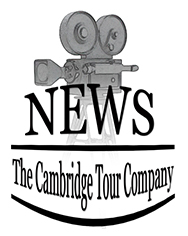 Specialising in guided walking tours of Cambridge, UK. Clean Bandit, a group formed in Cambridge when 3 of it’s members were studying at Jesus College, won a Grammy for The Best Dance Act. Mixing classical and dance beats they have enjoyed success in the UK and the USA. Will be back in town for a show at The Cambridge Corn Exchange next month.